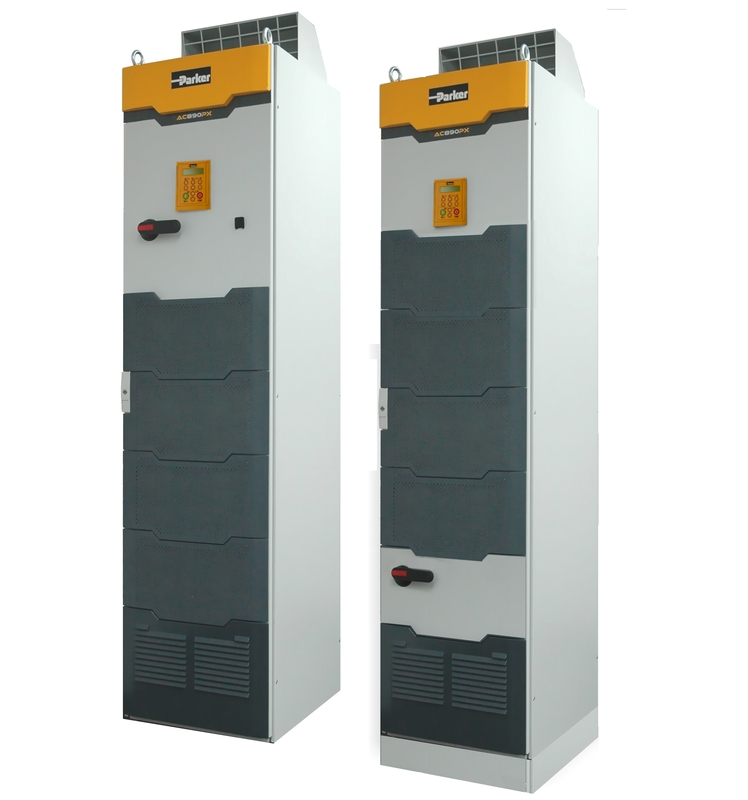 The Parker AC890PX is a high power, modular stand-alone AC drive designed to control the speed of open-loop and closed-loop, AC induction or servo motor applications. Includes Safe Torque Off (STO) feature to SIL3 or PLe. 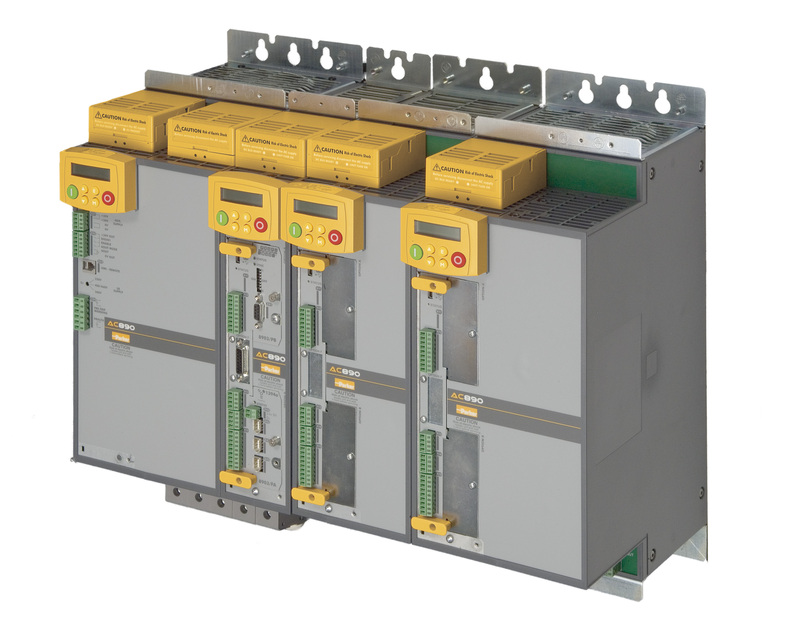 The unique modular design includes easily replaced plug-in power modules. Compatible with a wide range of feedback options, the AC890PX is designed to work with any AC motor and virtually any speed/position feedback options. Variations for DC input and line regeneration can be provided, as well as chassis-mount style. 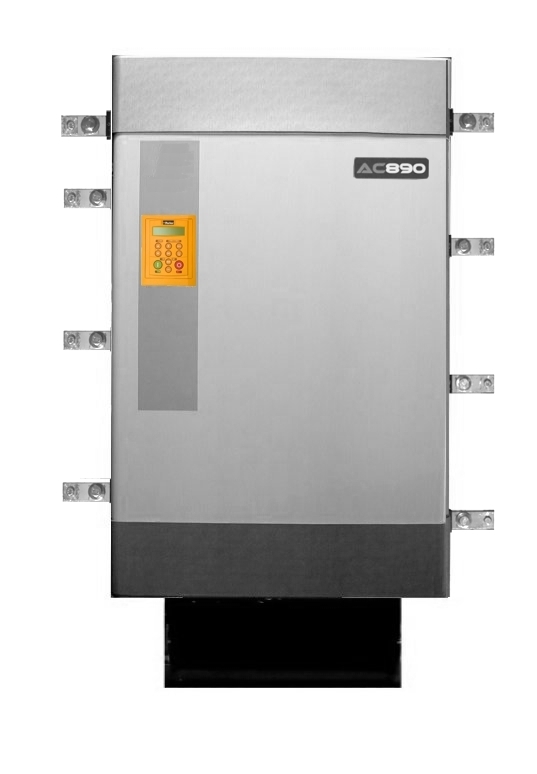 The AC890PX is available through 500 HP in air cooled ratings, and through 1800 HP with Parker advanced liquid cooling. Voltage ranges available include 380-500V, 575V, and 690V 3-phase.